...the majestic, active volcano Piton de la Fournaise (2632m). ...the three inland imposing circus: Mafate, Cilaos and Salazie. … you can also do lengths or have a swim with your friends or family in the wide swimming pools that meanders through the hotel. 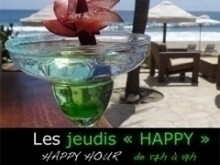 Thanks to its ideal location the hotel is the perfect starting point for all those activities. As stroll activities: art galleries, museums, little souvenir shops with craft items. Don't forget too the exhibitions of local artists in our hotel. In the evening: casino, bars, night clubs, open-air Saint-Gilles'theatre, concerts in the hotel neighbourhood. 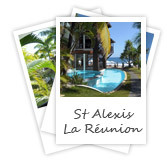 Le Saint Alexis can advise you and take care of all your bookings.